Building a maze like this heart LEGO marble maze is a classic kid’s LEGO activity and a real boredom buster! All you need is a baseplate and a bunch of bricks. Oh and a marble too! We gave ours a fun twist by making it in the shape of a heart. 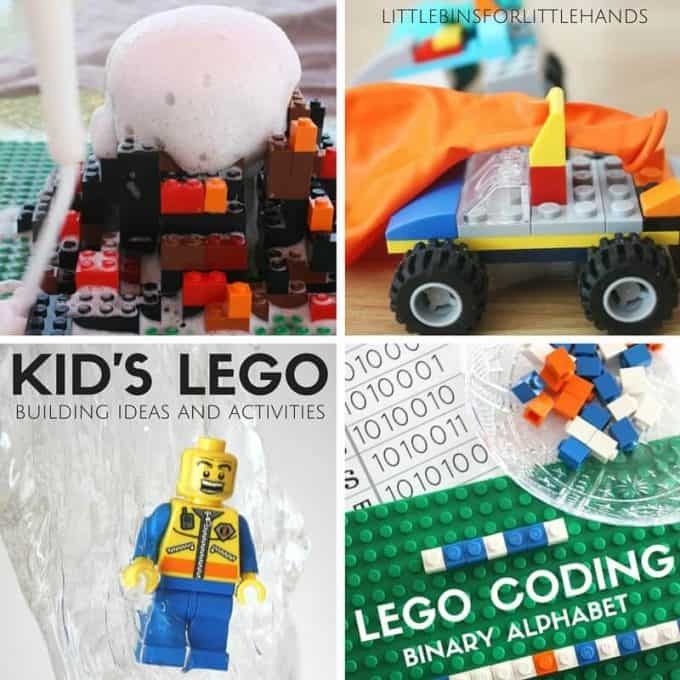 Make sure to check out all our LEGO kid’s ideas and our newest book. 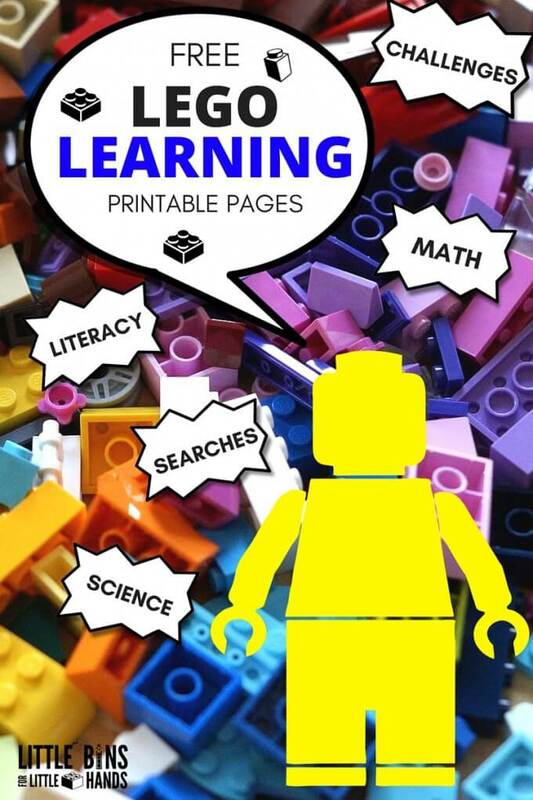 The Unofficial Guide to Learning with LEGO! This heart Lego marble maze is so cool. 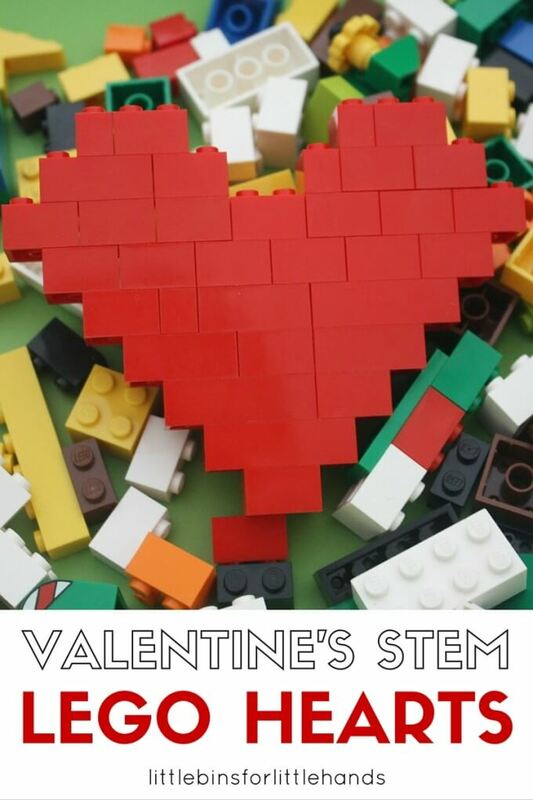 In fact Legos are pretty cool and great for STEM based activities! We are just getting into the smaller LEGO here and figuring out different things we can do with them! 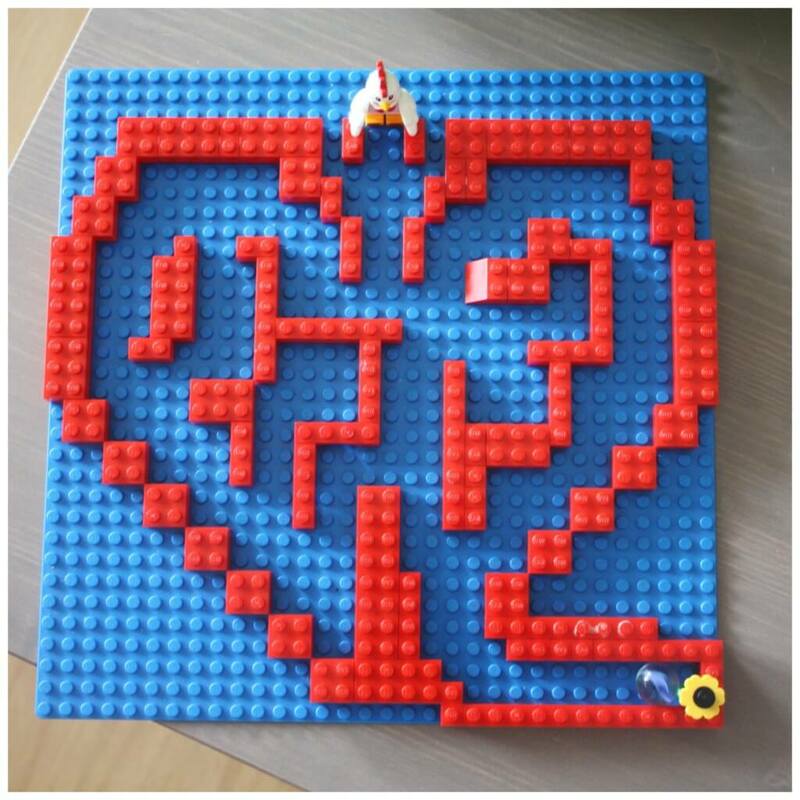 Check out our lego hearts we built the other day or our simple zip line! I knew there would be several interesting concepts we could explore together while putting together this heart shaped Lego marble maze! This heart lego marble maze was by no means an independent play project for my son but rather a great activity for the two of us to try out together. 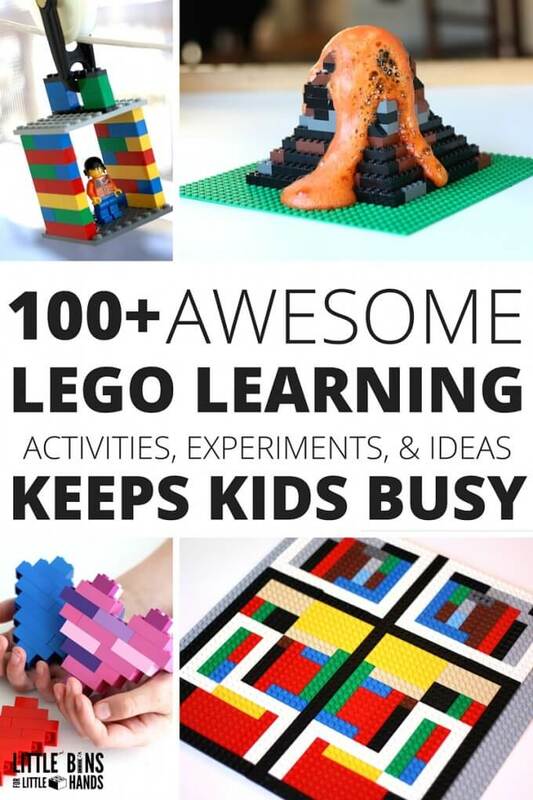 Perfect for all ages with different levels of adult involvement. We are moving into more building and engineering types of projects these days. He has great ideas but needs a little help too realize them. I do enjoy this new phase of learning and exploring the world of STEM. This heart Lego marble maze was a totally new experience for us because we have just built the more traditional LEGO marble maze before. I thought it would be cool to make a heart and talk about symmetry. 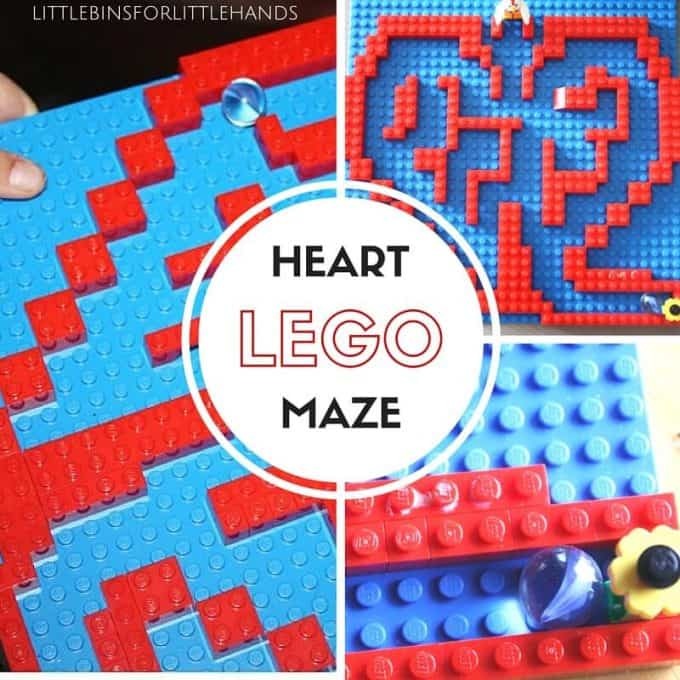 A heart lego marble maze is great for showing how the two sides of the heart look like one another and can be built the same on each side. You can also take a piece of paper and fold it in half and cut out a heart shape to demonstrate the idea of symmetry. 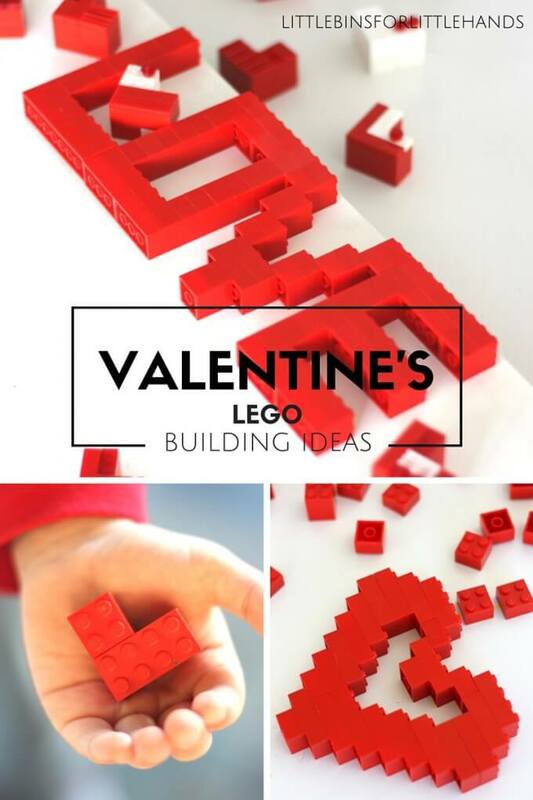 TONS OF COOL LEGO BUILDING IDEAS! 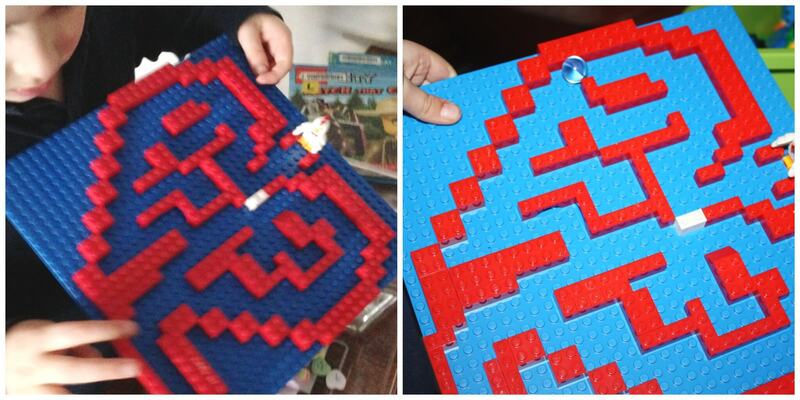 This also helpfed him work a bit more independently on this lego heart marble maze. He enjoyed measuring our base plate and counting out spaces. Plus extra effort was put into locating the right size bricks or combination of bricks to complete the shape of the heart marble maze. We started with a closed heart. 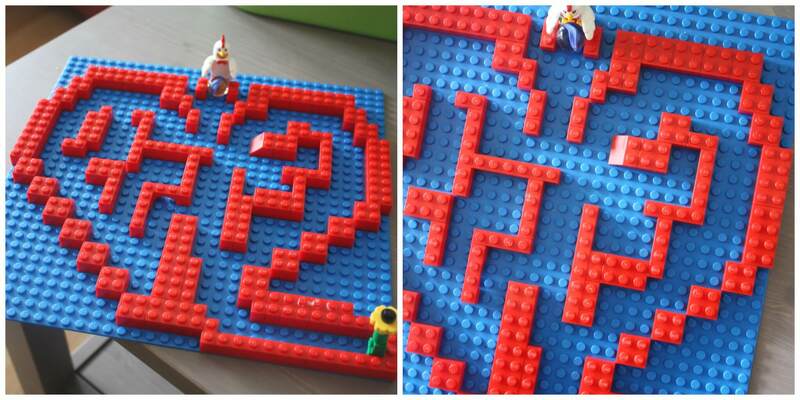 Then he wanted a start and a finish to the heart Lego marble maze to make it more of a game. We added a starting point marked with a flower at the bottom of the heart. The finishing point was our LEGO chicken man. NOTE: We used the marble we had chosen to measure the pathways in the inside of the heart. Add a piece, remove a piece, we would find a corner too tight, and we would change it around! It became a really cool problem solving activity. You could make just one path that will work to get to the chicken or you can make several. We made lots of paths to the chicken. After he tested it out a few times and found a couple problem areas, I had the idea to add an additional white piece to turn it into a game. By adding the piece it allowed me to block off a path so that he had to find a harder or longer way around the heart lego marble maze! 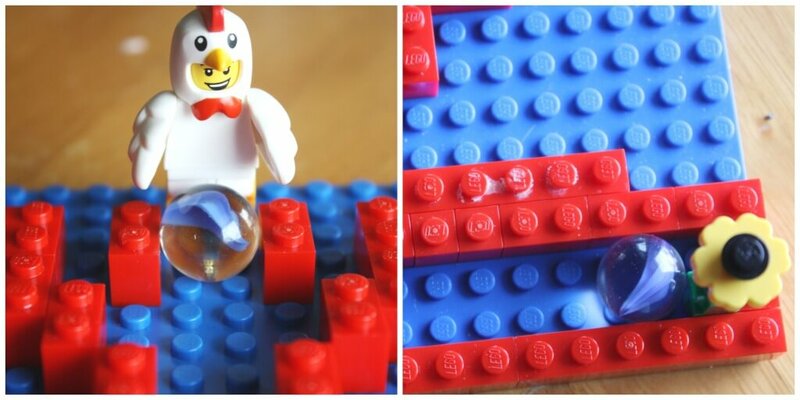 Kids can learn and play at the same time with this classic LEGO marble maze activity. 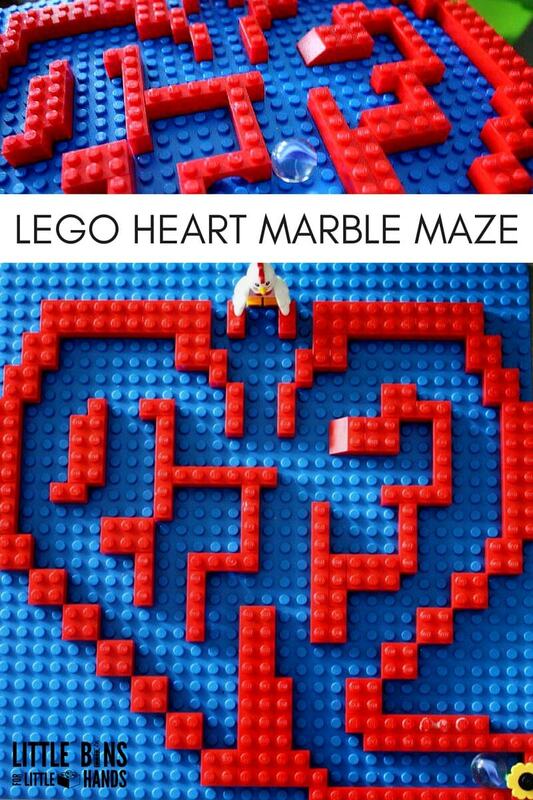 Build a heart lego marble maze for a fun challenge! More awesome early learning activities for kids and our new book. Click photo! Thanks! The maze was easy to make and hard to do. Made it for a friend’s 4-year-old class.